In the days of yore, most men could only mention animal/plant magickal stones in their writings. Nowadays, magickal stones/pearls are becoming again available to a different kind of arena -to those that seek them. The reason has partly to do with the Aquarian-Age that we find ourselves living in. It is, however, mainly because Nature wishes to offer humanity something that would help men embrace her and not destroy the platform where the other lower kingdoms have their place of evolution. 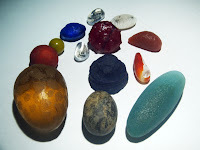 These Magickal stones are Nature's gifts to humanity, it connects us directly to the Spirit-Intelligences of the mineral, plant, and animal kingdoms. Even without knowledge of the elementals name, the powers and virtues of a magickal stone may still be readily felt by those possessing it after a short period of time. It is the presence of these elementals in pearls that give them an extra feel of power. Normal gemstones and crystals do not have any elemental spirits dwelling in them unless willed by an occult practitioner; magickal stones, however, do have an etheric being living in them as a matter of course. Lacking a spirit dweller, a magickal stone is still more powerful than an ordinary gemstone or crystal as it possesses the energies of the Guardian Group-Spirit or Intelligences (Animal Totems/ Plant Devas) of the animal/plant species embedded in it. Why are these strange stones so highly valued? Magickal stones are held in great regard not only because of their scarcity, and sometimes beauty, but also because of the power that resides in them. These pearls are formed with the help of elementals spirits--gnomes, elves, and other etheric beings of Nature. That etheric spirits help to form gems is not quite unknown in western occultism. In the fairy tale, "Snow White," for instance, we read of 7 dwarfs working in their "mines." From the esoteric perspective, they were actually not mining at all, but forming gems and crystals. Tales such as hens laying "golden eggs" possesses some truth if considered in the light of magickal pearls. There are many such golden eggs available. Elementals are Nature's handmaidens and are the hidden forces acting behind all phenomena and natural formations or creations. 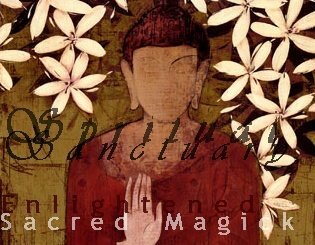 Elementals help "paint" the flowers and nourish them with prana and the necessary gases. Science calls the latter process osmosis, but behind the physical scene, in the etheric world, one may perceive fairies frolicking among plants, flying to and fro, entering and exiting the stem and leaves of plants taking the pranic globules from the air and into the flora. What are Magickal Mystical Stones known as 'Mohre Mar' in Persia? 'Mohre Mar' stones or Magickal stones, are unusual objects formed in animals and plants. Nature forms these Stones in the bodies of diverse animals, plants and fruits for some reason unknown as yet to us. Not all animals or plants of the same species form these Stones, but they possibly do occur in almost every living being. Unusual Stones have also been found in the bodies of saints and holy people; this might possibly be an indication that animal and plant Stones are the manifestation of an organism's highest energy crystallized and formed out of conscious or subconscious aspiration for a higher evolutionary level or state. After thousands or millions of years these juices and bio components, through a natural process have crystallized, hardened and acquired occult powers. The formation of a Magickal stone or a fossilized body-part are directed by Nature's invisible forces and intelligences. Normally these intelligences are elemental spirits that guide the process of the creation of a Magickal stone, and they subsequently make these Stones or fossils their home. Those carrying these Stones are served by the indwelling elementals in various ways; they help to strengthen the carrier's aura and nervous system; they bestow positive energies; they empower the brain centers, DNA activation, and to guide us toward our highest possible self. Discarding destructive forces that may enter through malevolent birth data or incarnations of karmic debris passed on by our forefathers. These stones make us magnetic and inline with cosmic magickal and occult forces. The natural energies of these Stones attracts luck, neutralizes and wards-off negative forces. They have a natural tonic effect upon the physical system. They are more powerful than ordinary gemstones and crystals. Added onto ritualistic items such as wands, they would truly empower an occult practitioner's magickal operations. Western occultists have yet to investigate and discover the power of these Stones that heretofore have only been mentioned in myths and fairy tales. Magickal stones are widely known in South-East Asia, India, and other countries of the East. Malays, Occidental naturalists of the past referred to them as "serpent stones." The powerful stones told in tales and legends are actually these mystical stones of lore. The Sanskrit text, "Sri Garuda-Puranam," speaks in detail of these Stones. In essence it declares a man acquires great fortune and blessings by possessing such a stone. These magickal Stones are one-of-a-kind, unique, rare, and powerful. It is said that only fortunate people are able to acquire and keep them. The Magickal Stones have been acquired mostly in the Indo- archipelago. They have been discovered in caves, jungles, sacred places, historical sites and in the remains of animals and plants. Some of them were magickally retrieved from the etheric planes by occultists who specializes in this unusual feat. The power within these Stones are sometimes known by the psychic struggle the occultist had to go through with the spirit guardians in order to acquire them. Quite a number of these Stones were gifts to our sources by tribal shamans and chieftians. How the existence and virtues of the Stones are discovered could sometimes occur quite by accident. For instance, tribal hunters may find an animal exhibiting a degree of invulnerability to their weapons; after having finally killed the animal with the help of a shaman, they would discover that the creature possessed strange Stones lodged or embedded in their head or body. Subsequent investigation would reveal that it was these Stones that gave the animal its invulnerability power. Not all of these Stones present within an animal are formed in the animal itself. Some were formed elsewhere but somehow found their way into the animals's system. The energy would run through one's arm and finally reach the heart or to one of the other chakras within the body depending upon its quality. Fakes do not give such sensations. They posses the inherent ability to draw out poison from the body when put on the bite wound, and thus made its way to napoleon when he received it as a gift from a king of Persia-- to the oxidental world, this secret has been kept by kings and emperors for millenia, it is time to find its way to those who need them during these changing times, at we enter a Golden age of energies and cosmic alignments, these stones are said to play a important role in the cosmic scheme of things. Please enquire about these Authentic stones if you gravitate toward their unique energy, they are available in small quantities only as each one is unique and they are individually found and aquired, the prices do not reflect the true value of these stones, if you are lucky enough to aquire one it is purely by higher guidance they are not for everyone, each one is unique and priceless.